I have one field name " Approval Manager" in list, which i want to use in "Assigned To" field of approval action. i have tried creating variable and using Approval manager email, but its not working out. PS: it maybe or maybe not be manager of the current user from AD, so it can be any other with approval permission. 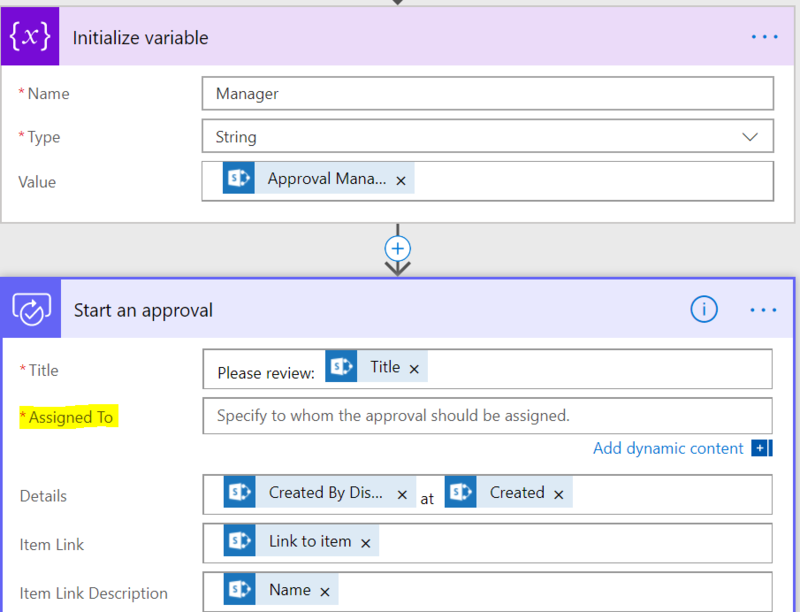 In the Assigned To field, click "See more" button, the Approval Manager column will be displayed. Not the answer you're looking for? 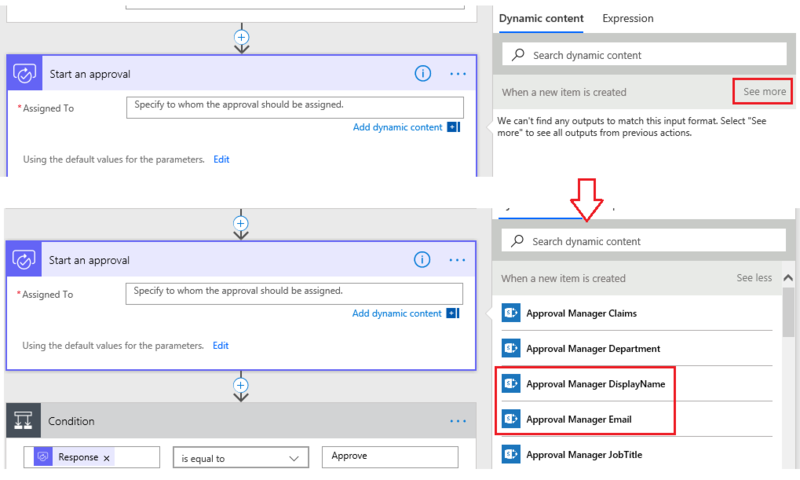 Browse other questions tagged sharepoint-online office-365 approval-process flow or ask your own question.